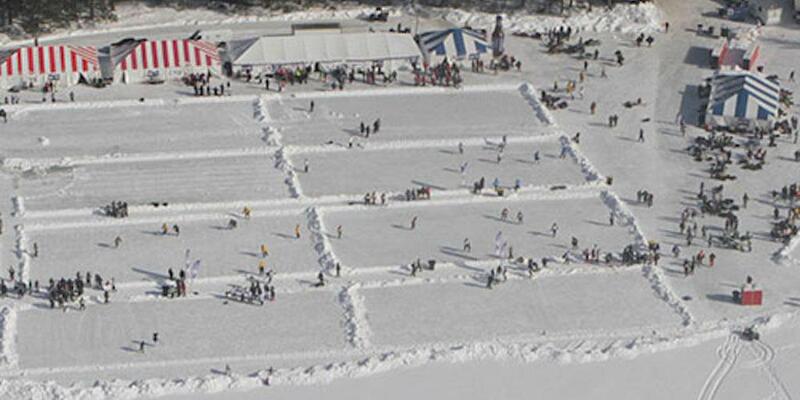 EAGLE RIVER, Wis. – Like it or not, Mark “Mugsy” DePuydt is the face of the Labatt Blue / USA Hockey Pond Hockey Championships. His big smile peeking through the cage of his hockey helmet adorned the cover of the April/May 2007 edition of USA Hockey Magazine. These days that cover greets visitors entering the Wisconsin Hockey Hall of Fame. 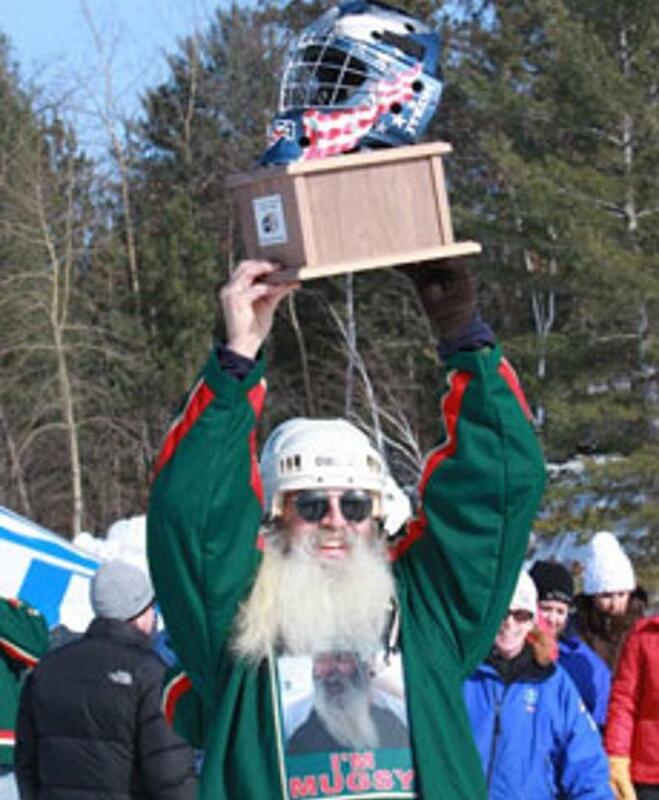 DePuydt has never missed a pond hockey tournament and at 66 years of age he is still going strong. 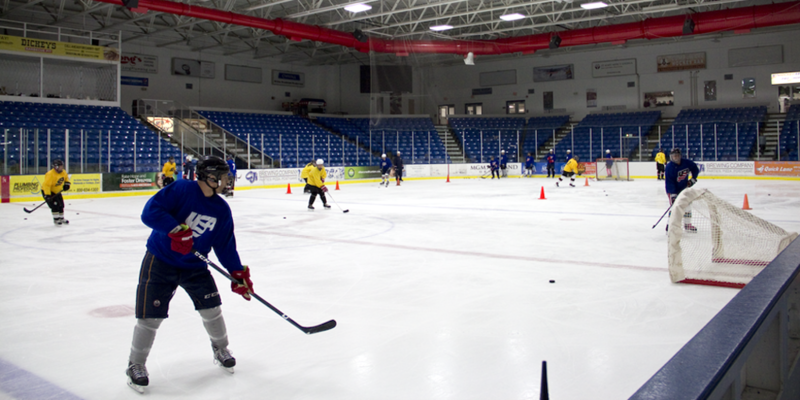 His “I’m With Mugsy” team has won several titles but with many of his teammates are busy these days coaching youth hockey, the former goalie with the Eagle River Falcons has joined the Frozen 7 of Eagle River team in the 60 & Over division. 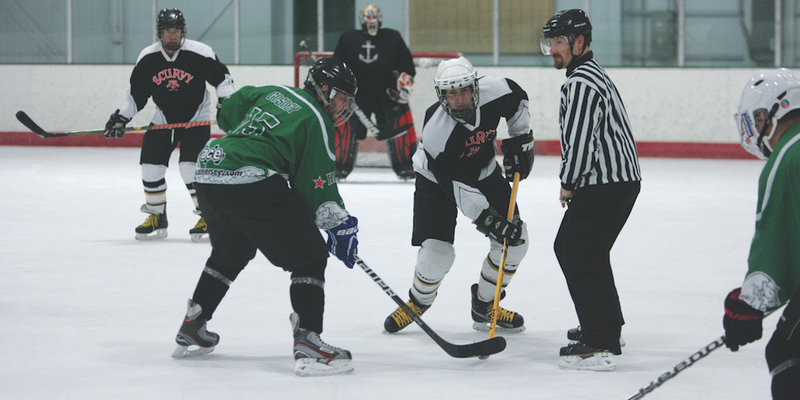 He has seen many changes to the tournament over its 14 years, including a rise in the number of teams and rinks carved out of the snowbanks on Dollar Lake. But the more things may change, DePuydt is happy that the essence of the event is still the same. “What it’s come to after all these years is it has not changed, and that’s the beauty of it,” said DePuydt, who is a wildlife artist when he’s not on the ice. “It highlights the roots of hockey, and that’s what I love about it. It’s the way I remember hockey. That’s how I grew up, outdoors on a pond. We had boots for nets and I can remember as the game went on I would close the boots a little bit more to make the net smaller. And while the economic impact on this small town in the Northwoods of Wisconsin cannot be overstated, DePuydt is happy to see the future generations who continue paying tribute to the past.